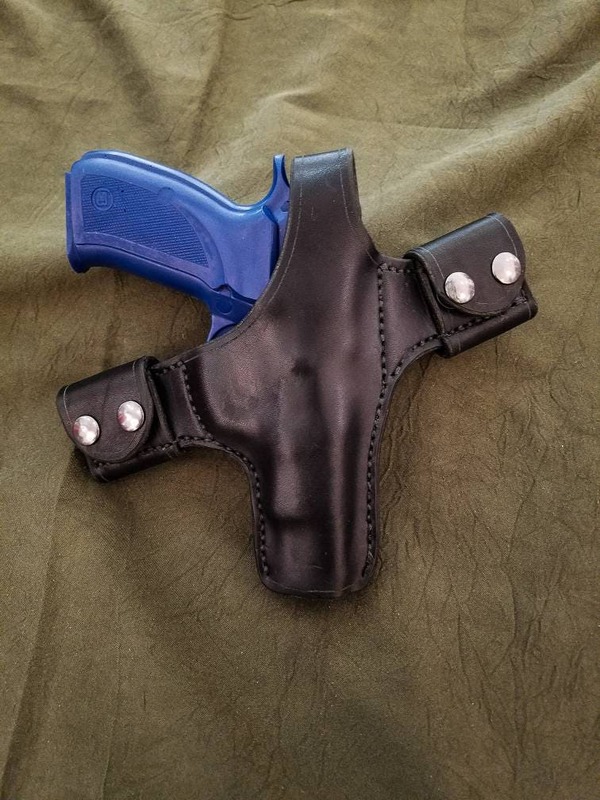 This listing is for a handmade leather quick detach belt holster. 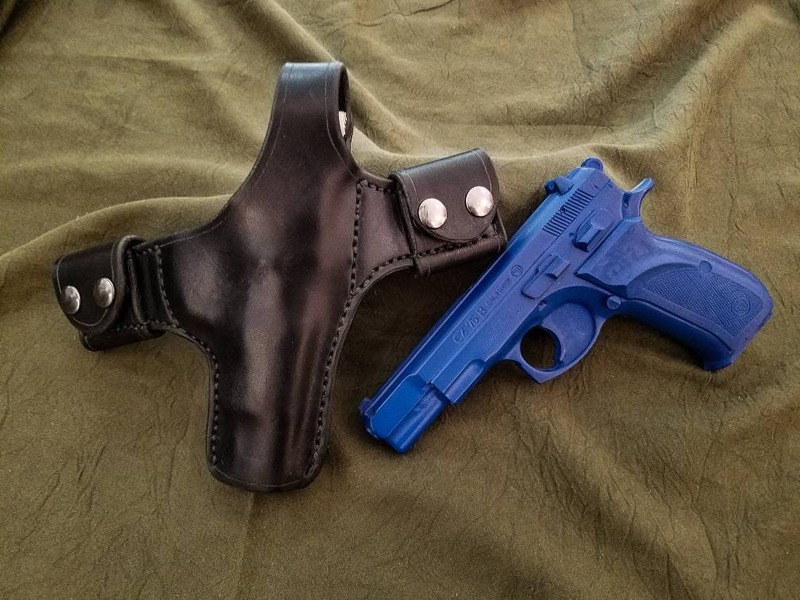 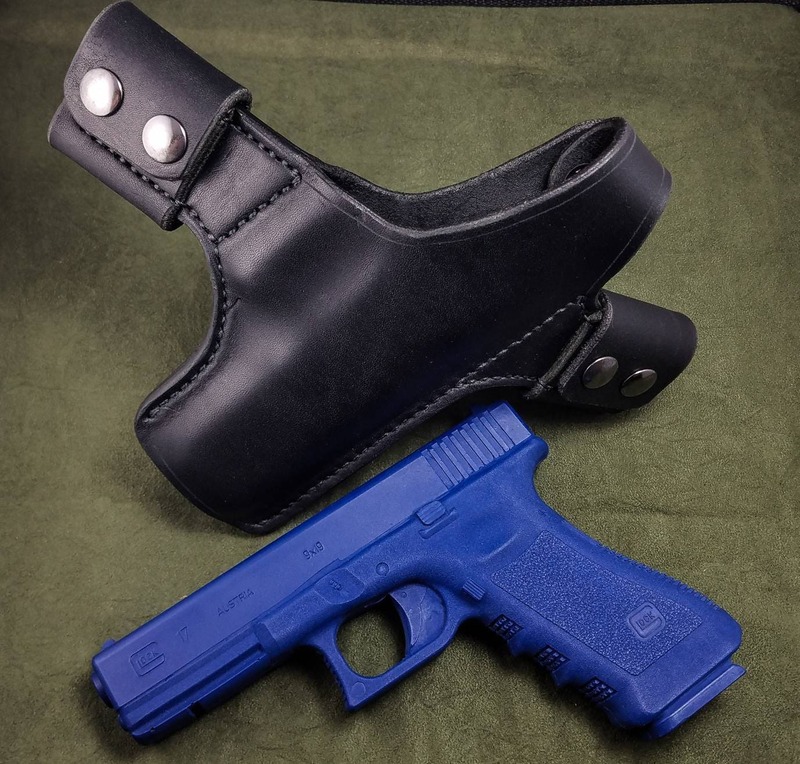 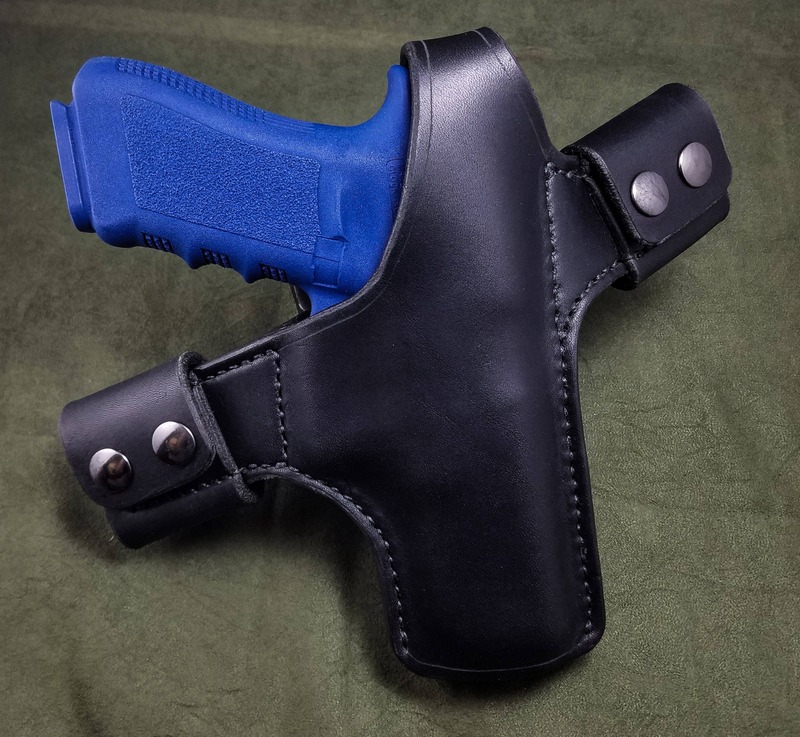 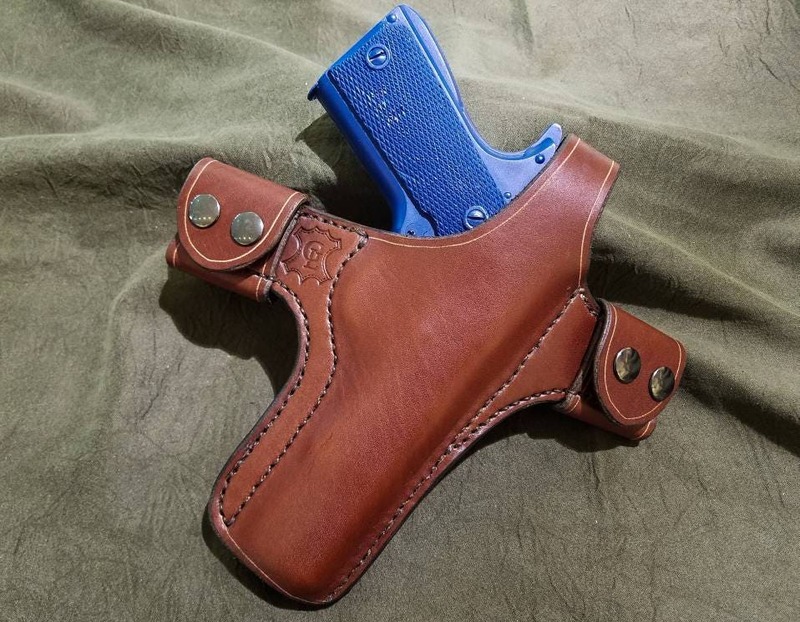 The holster is made out of 8-10 ounce latigo cowhide, unless the "natural" option is chosen, in which case it will be made out of 8-10 vegtan cowhide. 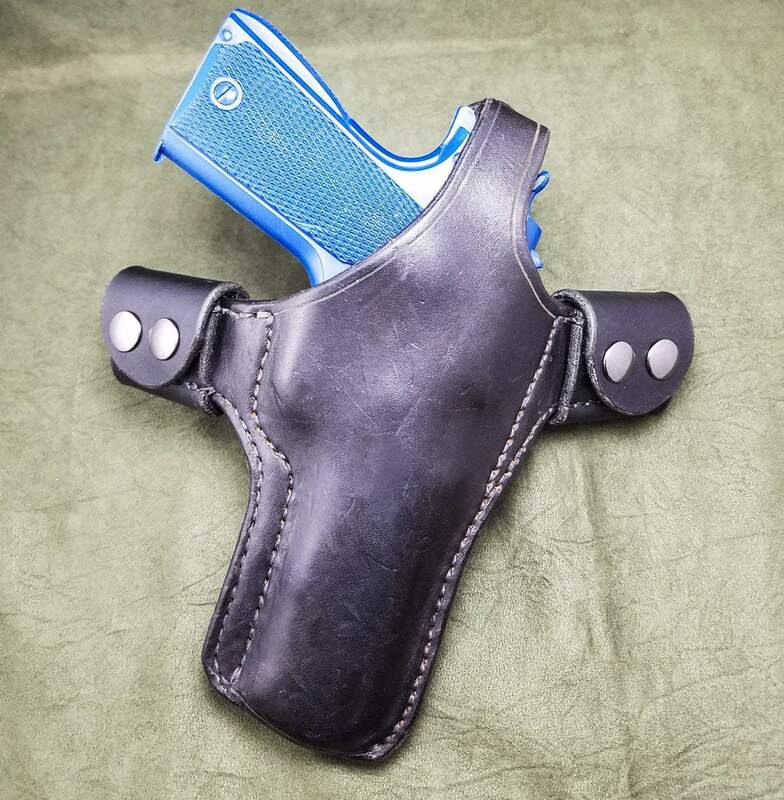 The gun is secured in the holster by a thumb snap. 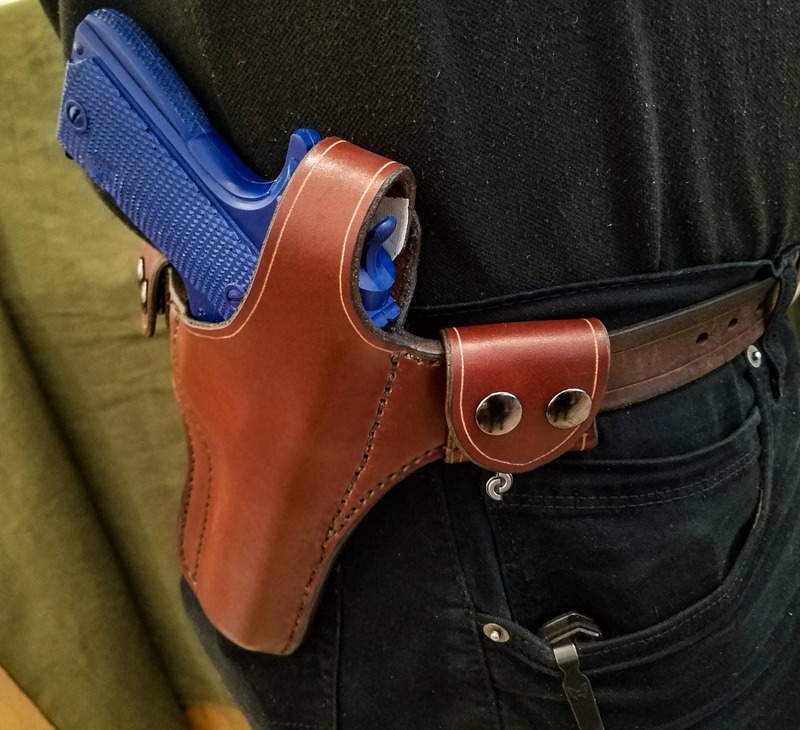 The holster is very low profile when worn, and attaches to your belt via two straps with double snap closure. 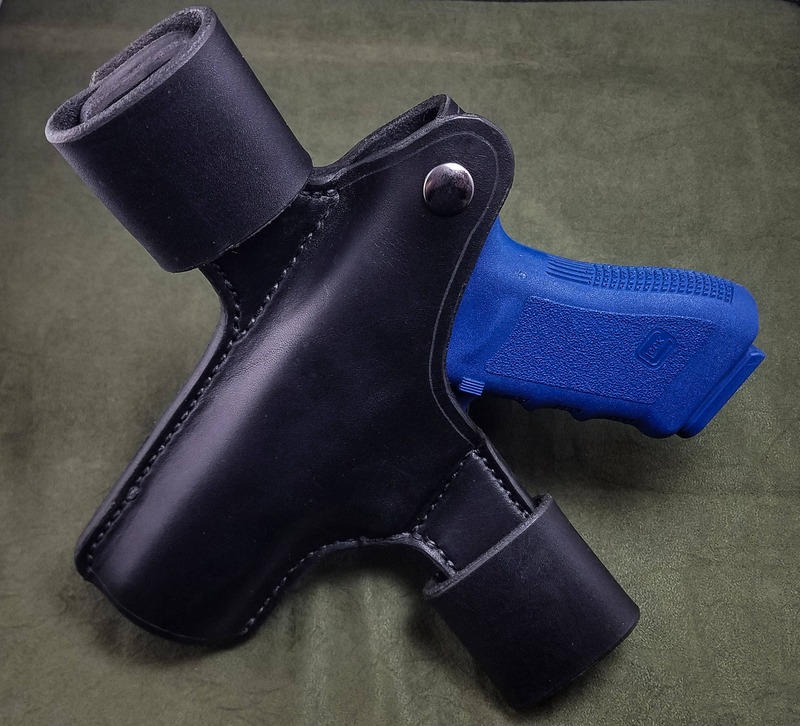 The snap closure makes the holster very quick and easy to attach and remove, while keeping it very secure on your belt. 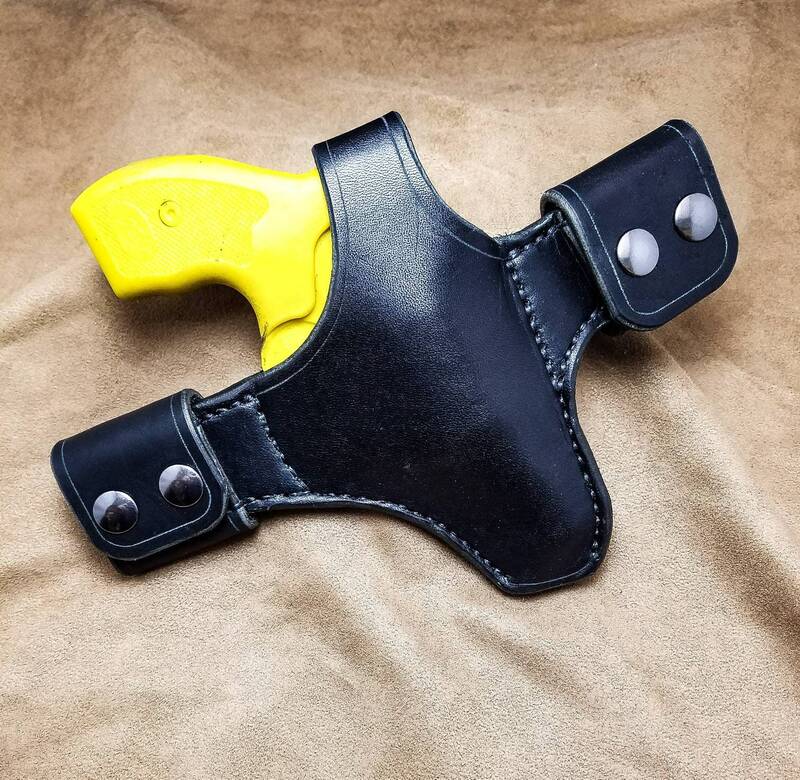 The loops on each end are sized to fit up to a 1 1/2" belt, let me know if you would like the loops to be smaller or larger.